Only a week or so ago we were discussing the likelihood of the Apple iPhone 5 coming to T-Mobile USA as speculation has been rife for some time. 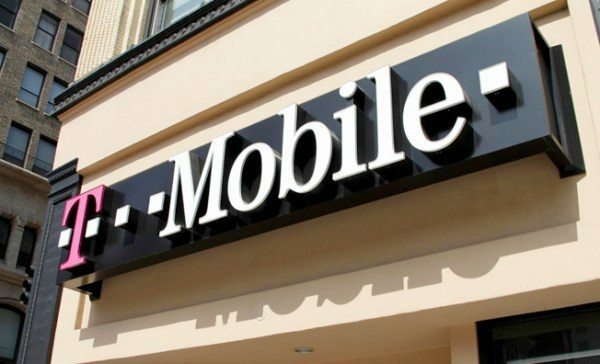 However at that time it appeared that this was unlikely to happen very soon with T-Mobile asserting that the price would have to be right before it would make a deal. It now seems that we could be in for an imminent surprise though with an announcement coming as early as next week about T-Mobile and the iPhone. Previously we told how T-Mobile still wanted the iPhone and acknowledged that the lack of carrying the iPhone 5 had made a negative impact on business in Q3. However the company was unwilling to make unnecessary sacrifices and so it seemed that it might yet be quite some time before the iPhone came to T-Mobile. The latest news today though suggests that we could be shocked at how soon the iPhone may come to T-Mobile, with a possible announcement on December 6th or 7th during analyst day meeting. Scott Craig, analyst for Merrill Lynch, said in a note to clients yesterday that there was heightened speculation that Deutsche Telekom will declare the iPhone’s arrival very soon on subsidiary T-Mobile, according to Fortune. This, despite the fact that T-Mobile’s LTE network has yet to go live although it has invested huge amounts of money in updating its HSPA+ network to suit current iPhone models. This latest information follows hot-on-the-heels of news yesterday that the Apple online store is about to sell the iPhone 5 unlocked. If T-Mobile does indeed begin carrying the iPhone this would mean that Apple would have access to 98% of the post-paid market in the US. Craig also added that a T-Mobile iPhone would bump his estimate of 179 million iPhones sold in 2013 by another 4 million units. It’s worth reminding readers that although T-Mobile doesn’t yet carry the iPhone around 1.5 million of the unlocked devices currently use T-Mobile networks after T-Mobile urged AT&T customers to jump ship with its Unlimited & Unlocked promotion. It will certainly be interesting to see how this story unfolds over the next week or so and we’ll be keeping an eye out for any developments, particularly on December 6 and 7 next week. Are you a T-Mobile customer who would love to see the iPhone on your carrier of choice? Maybe it makes no difference to you as you would have used another carrier to get the iPhone 5 if you’d wanted one and would rather stick to an Android such as the Nexus 4 or Galaxy S3? Let us know with your comments. Long time T-Mobile customer. Currently Off Contract and have been waiting for T-Mobile to offer Apple iPhones since they first came out. Several years later still no iPhones. My patience is running thin and I’m on the verge of jumping ship to a different carrier solely because I want the latest iPhone 5. I’m extremely satisfied with T-Mobile’s Customer service, the Plans they offer, Easy to follow on-Line Account information as well as their paper billing. So memo to T-Mobile’s CEO, Mr. John Legere: Give your customers what they want…offer us the iPhones NOW Please!!! Ditto what DD stated 2 days ago. Loyal long-time customer ready to jump ship in February 2013 if iPhone isn’t available on contract plan. Don’t want to leave, but you give me no choice. Please bring us loyal customers the iPhone 5!